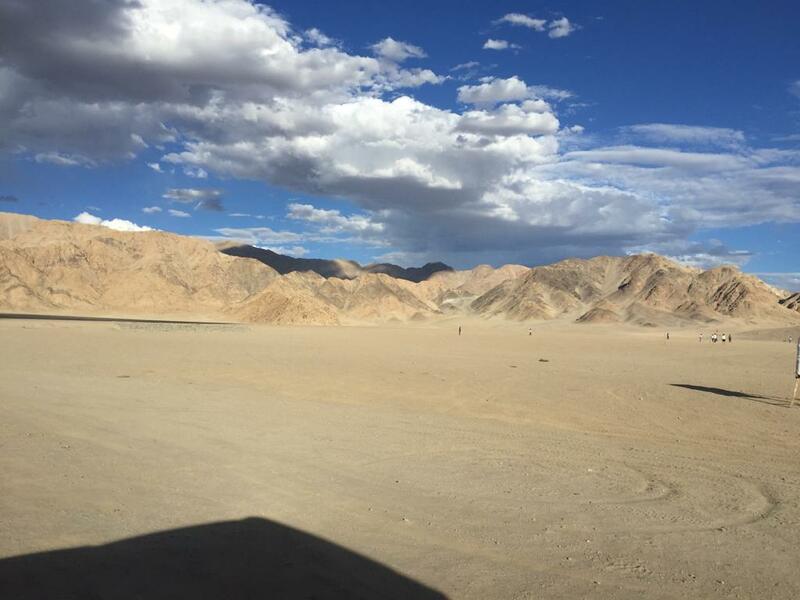 Visiting Ladakh, too cliché right ? All hail to our great ‘Ranchodddas Shyamaldas Chanchad’ from 3 idiots…but let’s face it, Ladakh is in the bucket list of most of the travellers, even more because it is accessible just for a quarter in an entire year!!!!. So, if you haven’t planned your travel or even if you have ,these 5 reasons will want you to get off the mundane right away!!! There won’t be an exaggeration that the tourism industry is the backbone of ladakh accounting for more than 50% of GDP for the region. It is seeing a growth rate of 30% YOY .The travel bug in you is indeed a source of livelihood and empowerment for the locals. Needless to say, Ladakh being an environmental sensitive zone, we believe in sustainable tourism, about which you will hear in upcoming blogs. Ladakh, nestled between the mighty Himalayas is accessible via air as well as via road. When the flight takes off from Delhi in the morning, in an hour you will be astounded by the aerial panoramic views of snow-clad Himalayas. Leh airport is a scenical beginning to beautiful journey ahead. While you may take a bullet and reach Leh by naturally acclimatizing your body either via Srinagar or via Manali. Ladakh is a cold, arid land-infact a desert bestowed with abundance of bounties. From high mountains that diminishes our presence in the ‘Universe’ to the depth of valleys, from sandy rocky terrain to emerald-green patches, from snow-clad peaks to confluence, from zen like peace to wilderness .Believe when we say, each way is a path less explored, while you create memories for a life time . Breathe each moment and you will appreciate nature’s sublime creation. Four wheelers move the body, Two wheelers Move your soul !!! Arial View- Himalaya’s way of saying Hi!!!! Imagine a week of a digital detox!!! Well, for entire week you will have yourself as an excellent company. Solitide is the most underrated bliss!!! Imagine soothing music in the speakers, cold breeze and sky gazing!! Yes, ladakh is world’s greatest place for sky gazing claims UK Newspaper-‘Telegraph’. The high altitude, lack of pollution and low levels of water vapour in the air makes it an ideal place to transcend in the vast expanse of the Universe. Talk to yourself, your travel buddies and count the shooting stars and see the milky way. Travel buddies -Your tribe !!! Ladakh, a land of high passes is the perfect place for bag packers and adventure seekers. Biking and cycling enthusiast flock every year for adrenaline rush. Ladakh is a mountaineer’s delight too, where seasoned trekkers trek climb extremely treacherous terrains to conquer summit like Stok Kangri, Markha Valley etc . The landscape tests endurance, will and body power of trekkers. Not to forget river rafting in ice cold waters of Zanskar. Ladakh’s kitty has experiences which are in the ‘to do’ lists of adventure seekers. There is a warmth of people in cold Ladakh, you are never an outsider in this land. Locals are kind, hospitable and diligent. Also, not to miss is the presence of Buddhism when in Ladakh. Monasteries hidden in mountains and prayer flags on bridges are unique to just a few parts of India like Ladakh. Even if you are an atheist, don’t forget to attend morning prayer in a monastery while hundreds of Lamas or Monks chant Buddhist Phases in unison, praying for peace. An equal delight for the foodies, Tibetan Cuisine to relish, apricot juice in sumptuous breakfast meal and apricot pie in Leh market cafes are not to be missed. This Ladakhi Woman offered us Khunak, a salty Tea. -This blog is in collaboration with Bullet Hawks. –Bullet Hawks crafts your Ladakh Biking adventures in reliable , affordable and safer way. -Contact Them for Ladakh Season 2019.